See the 1.10 Upgrade Guide for a list of changes that may affect you when upgrading from 1.9.x. For full details on what’s included in this release see the 1.10.4 Changelog. Thanks to all who helped with this release, specifically: Andrei Picus, bannmann, bchiasson, Bruno M. Custódio, Christian Klammer, Cody, darkdev, dekajp, EleventyOne, Eric Dahl, eruiz, Fabrício Matté, Gan Eng Chin, gaumup, Gruewo, hadley, Imants Horsts, Jacob McCutcheon, Jasper de Groot, johnneed, johumber, Jyoti Deka, Jörn Zaefferer, Kris Borchers, kungfu71186, larsch, ljani, lukerichison, meyertee, Mike Sherov, Mohsen Ekhtiari, Monika Piotrowicz, mr-x-123, muzzamo, net147, networksolution, Ondrej Novy, paftek38, petersendidit, pixelwiz, Qwy, Rafael Xavier de Souza, rcogswell, [email protected], Scott González, shnitz, Siebrand Mazeland, SledgehammerPL, Steven Luscher, Thomas Meyer, Timo Tijhof, TJ VanToll, tom.vandenberge, Toshi MARUYAMA, Ult Combo, victor-homyakov, Vilhjálmur Skúlason, wch, wibber, xlefebvre, zoggy. If you have feedback on us doing our fourth maintenance release for jQuery UI 1.10, feel free to leave a comment below. Thank you. We surpassed the millionth download of jQuery UI using our recent DownloadBuilder and ThemeRoller rewrite back on February. As of today, we have served 1,730,000 downloads and counting. Read on for some insights into what we’ve built, and the trends we’ve noticed so far. On the client side, despite the few visual changes, we have some interesting updates. The DownloadBuilder now remembers what user selects and makes it linkable, so it’s easy to share or go back and modify a custom theme. We’re also shortening links automatically if they get too big, by zipping parts of the query string. The backend in-memory-caches the source files and theme images to speed up the downloads. Since it serves custom downloads, the parts are not simply assembled, but rather modified on build-time and then assembled. The average build & package time is 1.3s. The download traffic is pretty uniform and constant; we hit an average of 66,000 downloads per week, having more traffic during the weekdays and less traffic during the weekends. When we publish a new release, we see a 10% increase on traffic. Adoption of the new release is really fast, legacy downloads drop virtually immediately. Although, we still have a significant amount of 1.9.x downloads after the 1.10.x release, splitting the total as chart shows below. 29% of users download the default components with the default theme. Other than that, we have all sorts of custom combinations happening. They choose different components, different themes, or a mix of both. Among the component customizations (which represent 26% of all total downloads), 15% are only Datepicker (the winner by far), followed by No Components (8.5%), which packages the theme only, Autocomplete (4.5%), Dialog (4.25%), and Tabs (3.75%). Theme customizations (choosing something other than the default UI Lightness theme) represent 57.5% of all downloads. If we skip the base theme Smoothness too, theme customizations are actually 42.35% of all total downloads. 16% of all downloads are user created themes (Custom Themes), followed by the Redmond (4.86%), UI darkness (2.73%), and Start (2.38%) themes. Within the users that create a Custom Theme, the majority of users (77%) download the full “all components” bundle, 5.5% download it with no components (theme only), and 17.5% do it with a custom component selection. Thanks to clark and Splunk for helping us make sense of all this data! As usual, if you find any bugs or if you have any ideas on how to make the DownloadBuilder or ThemeRoller even more amazing, we’d love to hear from you! But please, don’t use the comments, rather please file an issue here. See the 1.10 Upgrade Guide for a list of changes that may affect you when upgrading from 1.9.x. For full details on what’s included in this release see the 1.10.2 Changelog. Thanks to all who helped with this release, specifically: aaronp55426, albi, arpowers, bg100, BlazeCell, Boucman, Christian Wenz, CR, Daazku, djQuery, Drew Waddell, drulia, fracmak, gneier99, jdk, jeff.hagen, John Chen, Jörn Zaefferer, koobin, marventus.wp, Mike Sherov, Nathanael Silverman, Oskar, petersendidit, phloopy, pk_745, psyafter, Rafael Xavier de Souza, rdworth, Scott González, silesianlordt, Skaffen, soulhunter, Steve Urmston, tfs, TJ VanToll, [email protected], verifier, voithos, [email protected], Zaven Muradyan, zerxer, zhizhangchen. If you have feedback on us doing our second maintenance release for jQuery UI 1.10, feel free to leave a comment below. Thank you. See the 1.10 Upgrade Guide for a list of changes that may affect you when upgrading from 1.9.x. For full details on what’s included in this release see the 1.10.1 Changelog. Thanks to all who helped with this release, specifically: ajcrews, antix70517, arcana666, Bruno M. Custódio, C6AC165B-7B1E-445F-804B-A1BFED06162F, David Petersen, David Sullivan, dcarrith, deap82, djQuery, dmethvin, eminence, gnarf, janesconference, jashugan, jbabey, jesse.voogt, JMGrange, Jörn Zaefferer, Kris Borchers, kruncher, limitstudios, mbehm, Mike Sherov, mjrjweb, mollw3, mziech, olejorgenb, [email protected], Rafael Xavier de Souza, rdworth, Scott González, sheu, Shikyo, thayyil, Thomas Jaggi, TJ VanToll, Travis Carden, Vahid Sohrabloo, watanabe, Yerel. If you have feedback on us doing our first maintenance release for jQuery UI 1.10, feel free to leave a comment below. Thank you. Continuing with the jQuery anniversary announcements, we’re happy to announce the first stable release of jQuery UI 1.10. While, 1.10 doesn’t add any new widgets, it does continue the API redesigns and fixes dozens of bugs. The dialog widget has undergone an API redesign, making it more consistent with other widgets and providing better stacking and modal support. Make sure to read the upgrade guide so you can migrate away from the deprecated APIs. The progressbar widget has undergone an API redesign, though there are no breaking changes. The only significant change was the addition of support for indeterminate progressbars. Check out the upgrade guide for more information. We put a lot of effort into making dialog and progrssbar as accessibile as possible. Unfortunately ARIA still needs some work before it can be used without hacks, but we’re working closely with standards bodies, browser vendors, and the accessibility community to improve web accessibility beyond jQuery. As mentioned above, dialog went through an API redesigns which resulted in some existing APIs being deprecated. These APIs will be removed in 1.11.0. The 1.10.0 release includes a flag to disable all deprecated APIs, allowing you to determine if your code is ready for 1.11.0 even before it is released. There are full details on how to use the flag in the upgrade guide. Several APIs were deprecated in 1.9.0 and have now been removed. If you haven’t already prepared for this change, make sure to read the upgrade guide so you can migrate away from the now obsolete APIs. 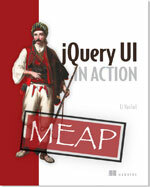 jQuery UI 1.10.0 supports jQuery 1.6 and newer. That’s 13 versions! Multiply that by the number of supported browsers and you’ve got quite a support matrix. Speaking of supported browsers, jQuery UI no longer provides support for IE6. See the 1.0 Upgrade Guide for a list of changes that may affect you when upgrading from 1.9.x. For full details on what’s included in this release see the 1.10.0 Changelog. You can read more about the API redesigns in a previous blog post. Thanks to all who helped with this release, specifically: adovenmuehle, adurante, ahuseynov, ajcrews, alistaircobalt, AlmogBaku, Anika Henke, atrigent, aubrey, Avinash R, bavanyo, bchiasson, bdh92123, Bethrezen, bgould, bigorangemachine, Bjørn Johansen, bolerao, borgenk, braddunbar, brian123zx, captdragon, casey, catapricop, chadn, chintsu, chuvikovsky, clifforama, CloudStrife, conradirwin, Corey Frang, Cory Gackenheimer, cowtownfarmboy, dalekocian, danbhfive, davenaeder, David Petersen, David Souther, David.Sullivan, davidmurdoch, dcarrith, developer123, dittodhole, DJtomy, Dominic Barnes, dracos, drakes, drew.waddell, drewkimrey, dutts, eason, ednark, eirc, elisy, emeerson, epascarello, eriz, Ethan Romba, ezufelt, Fabrício Matté, fedot, feugy, fgutmann, fofanafi, fontzter, fracmak, GoZ, gusaroni, homelands, htrex, ilanco, j2jensen, jajo, jamesbathgate, Jay Merrifield, jemunk, jjoemb, jpka, jprell, Juan Pablo Kaniefsky, julienw, jupeter, Jörn Zaefferer, kalou, kenaniah, kenjiyamamoto, KopiasCsaba, Kris Borchers, Krisp PL, kristopolous, kwhat, kyle.davis, larowlan, lisaj, Liv32Inspir3, Lucky, lukepage, lukoff, M.Gaetan89, maciejmrozinski, madogai, maets, mankyd, marcelklomp, MarcoSarti, mariuspuiu, Marshals, Mathias Stenbom, MatteS75, Matthieu Penant, may, mblaney, meotimdihia, MetalArend, Mike Sherov, mikepelley, Mikko Rantanen, misterdai, mjpowersjr, mmartin, MrBigDog2U, mrfr0g, Nate Eagle, nicholashall, Nodens, NovaYear, ollie2893, ours, paul, Pavel Selitskas, Pawel Maruszczyk, PhoenixFnX, pifantastic, PlanetPratt, prinzdezibel, probins, Rafael Xavier de Souza, raphinesse, rdworth, richwag, robmonie, Roman Salnikov, RwwL, salnikov, Samuel Bovée, samycookie, saulotoledo, sc0rchin, Scott González, scoulibaly, Sergey Kartashov, shadowman131, silesianlordt, Simon1979, sjonne, slolife, Spider, sslavic, ssoorriiin, swalke16, symve, techtangents, TheDoci, ThiefMaster, tibi7000, Timo Tijhof, TJ VanToll, tomcastleman, tomjung, uibugger123, Ult Combo, ushi, Viktor Kojouharov, vol7ron, watanabe, wfsiew, wichert, Xar, Xavi, zbapoc, zniki.ru, zoggy. 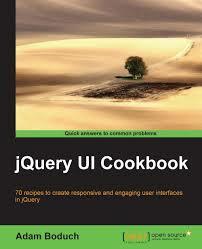 If you have feedback on us doing our final release for jQuery UI 1.10.0, feel free to leave a comment below. Thank you.